Tom Attah is BMus Popular Music Course Leader at Leeds College of Art. His thesis examines the effects of technology on blues music and blues culture. Tom’s teaching and blues advocacy includes workshops, seminars, lectures and recitals delivered to learning institutions in the United Kingdom and mainland Europe. As a guitarist and singer, Tom performs solo, with several acoustic duos acoustic and as part of an electric band. Tom’s solo acoustic work includes his own original blues compositions and has led to performances at major music festivals around Europe, including major stages at the Glastonbury Festival of Contemporary Performing Arts, the Great British Rhythm & Blues Festival, and Blues Autour Du Zinc. Tom’s multiple national radio appearances include performances and documentaries as a subject matter expert for BBC Radio 4. Tom’s journalistic writing is regularly featured in specialist music publications, including Blues In Britain magazine, and his original research papers and book reviews are published in several international peer-reviewed journals. Many narratives concerning the transatlantic cultural exchange which carried blues music and blues culture from the United States to the United Kingdom focus on the Southern cities of the UK, particularly London and the South East. 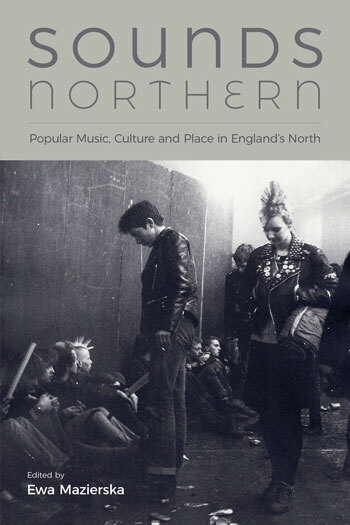 This chapter argues that the music producers, consumers and cultural workers of the Northern United Kingdom, especially Manchester, but also Leeds, Newcastle and Liverpool, were equally significant as part of the cultural convection currents which precipitated and sustained the blues boom of the 1960s. Further, this chapter argues that the construction of blackness undertaken by performers, cultural workers and consumers during the 1950s and 1960s in the North of England was a fundamental strand in the discourse of authenticity which surrounded African American music, such as it was presented in the United Kingdom during the beat era and blues boom. Broadly, the presentation of early blues performers in the UK of singing guitarists Josh White and Big Bill Broonzy to secondary audiences in the United Kingdom during the early 1950s was at odds with the reality of blues music and blues culture as presented by Muddy Waters and Otis Spann at Leeds in 1958, and by the musicians who took part in the subsequent American Folk Blues Tours of the early 1960s. Additionally, the performances televised by Manchester-based Granada Television also problematized the understanding of blues music and blues culture, whilst contributing to its spread beyond the United States. Manchester’s Twisted Wheel Club and Free Trade Hall also provided an opportunity for a predominantly white British audience to engage first-hand with the live performance of African American artists. This chapter explores and indicates how the blues was developed from a music of the African American rural poor to a style which emphasised personal authenticity, providing a source of communion and creativity across racial barriers in circumstances geographically removed from the United States. With specific reference to Manchester’s Twisted Wheel club and Free Trade Hall, the American Folk and Blues Festival Tours (1962-1966), and the televised Granada performance at Chorlton Station, Manchester which featured leading lights of the American blues scene (1963), this chapter explores the enculturative and acculturative musical practices and sociological contexts that placed young, white musicians in the society and influence of blues music’s African American progenitors. The problematic issues of race and cultural dissonance are raised and contextualised against a system of demographic othering characterised as the North/South divide and a societal antipathy toward emerging youth culture, in order to illustrate diachronic processes of technological mediation and cultural development in both blues music and the emerging counterculture and blues revival of the 1960s.